Archaeologists work on a group of huts at Cromwell's 'Chinatown' in the early 1980s. 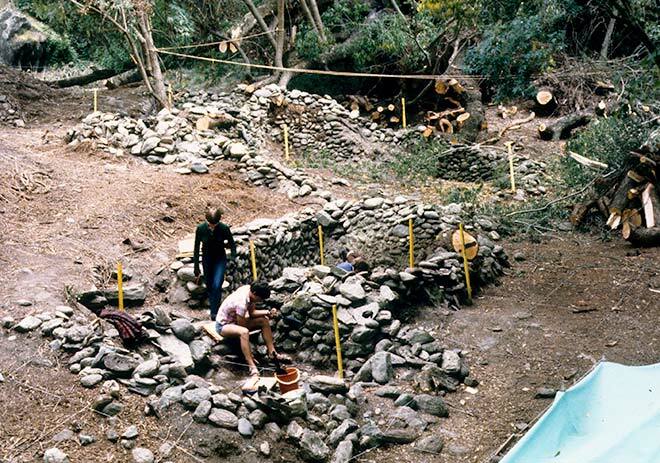 This was part of a major archaeological salvage programme carried out from 1977 to 1987. Archaeologists examined around 60 sites formerly occupied by Chinese gold miners, all of which were to be submerged by the waters of Lake Dunstan, behind the Clyde dam on the Clutha River. The Cromwell 'Chinatown' was the best preserved example of Chinese life in Otago, having been occupied from 1870 to 1920.